Take your customized message to the streets with picture-quality graphics! This glossy 3' x 6' banner features your prominent message, printed on 13-oz reinforced scrim vinyl material. Comes with brass grommets at each corner and every 2' feet in between. Top and bottom edges are finished with 1-1/2" PowerTape™ for added reinforcement in the outdoors. Take advantage of the full-color imprinting that brings your message to life! Size: 3' x 6'; finished size may vary slightly by up to 1/2" per linear foot, but no more than 2" in total. 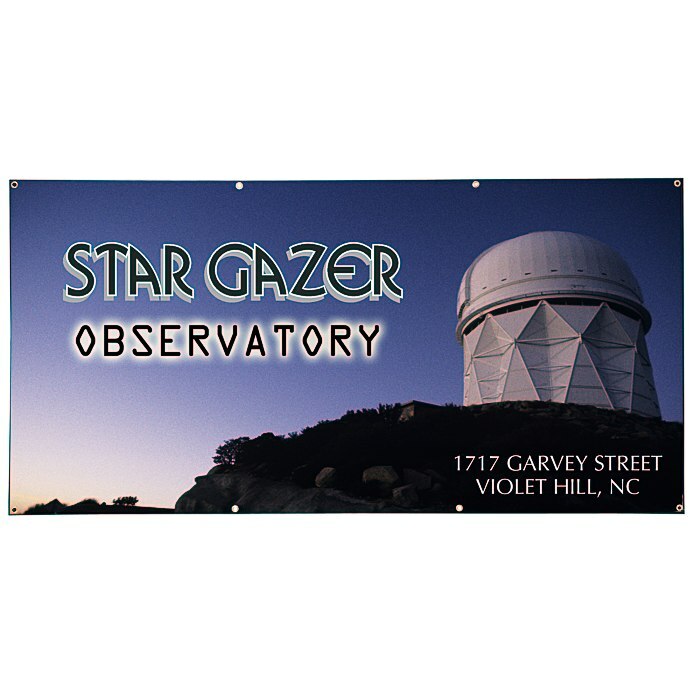 Your price includes a full-color imprint on the front of the banner.